I spent my entire breakfast watching this little guy try and figure out a way to get inside, his intelligent face working out the pieces of the puzzle. Despite having already been in India for a month I almost immediately experienced what I now realize was, for the first time in my ten years wandering, culture shock. Going from an arid desert surrounded by austere mountains in the least-populated area in all of India made for quite the bumpy transition to a lush, humid, always bustling pilgrimage site at the heigh of monsoon season. 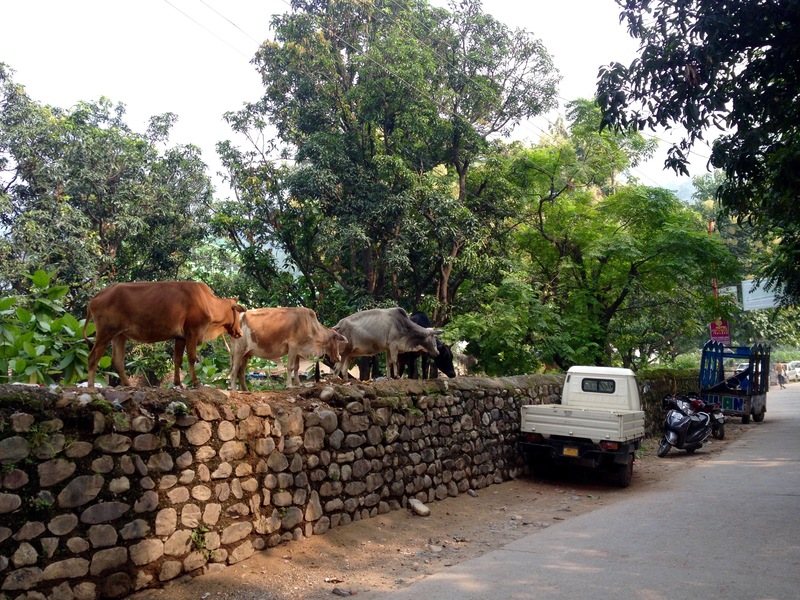 I found Rishikesh to be utter chaos, equal parts overwhelming and fascinating: wild pigs, monkeys, sacred cows, dogs, and donkeys roamed freely in the streets amidst the crush of people, while motorbikes honked incessantly as the drivers skillfully skirted in and out of the melee. Walking around for more than a half hour at first proved over-stimulating, the bright colors on all the buildings and bridges made everything feel both celebratory and garish, and the challenge of walking through a crowd while also avoiding both the piles of sacred cow dung and the beggars took all of my energy. 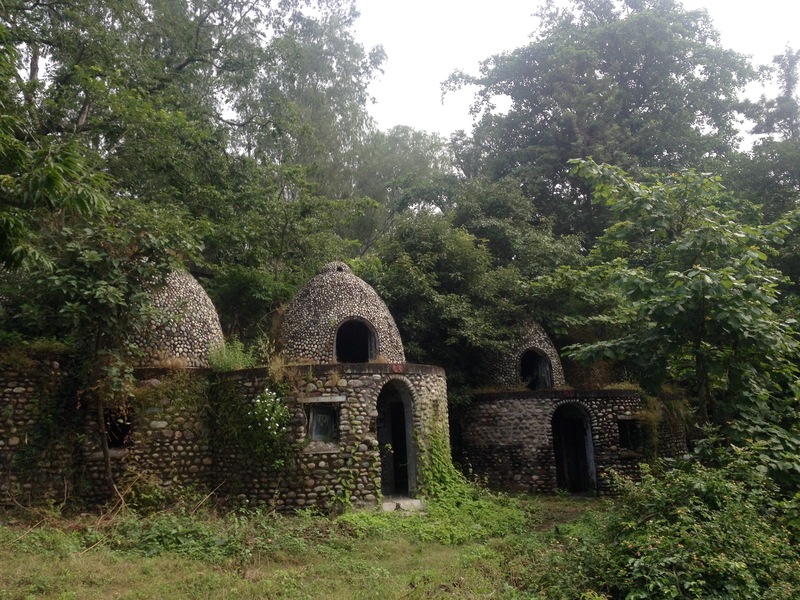 Luckily, after three days wandering around shell-shocked, I was able to find a bit of grounding thanks to starting my yoga teacher training. 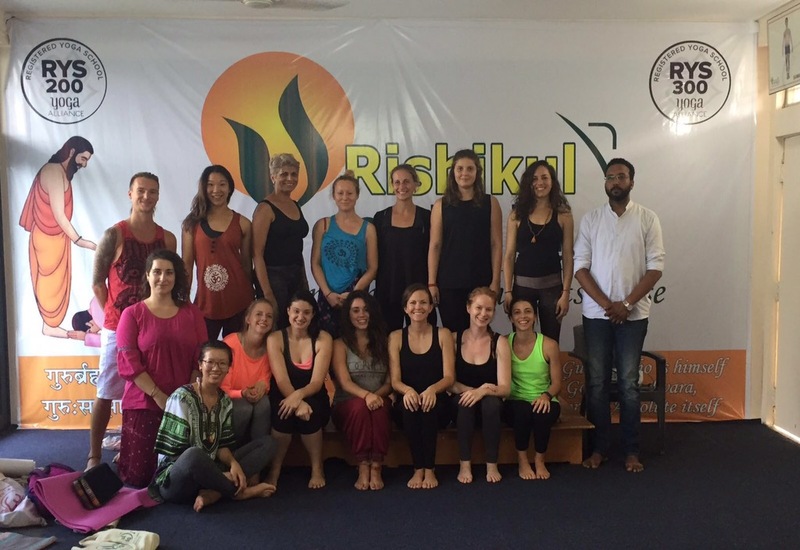 I spent the next month in what I affectionately dubbed ‘yoga prison’ with 21 other inmates/aspiring teachers representing 14 different countries. 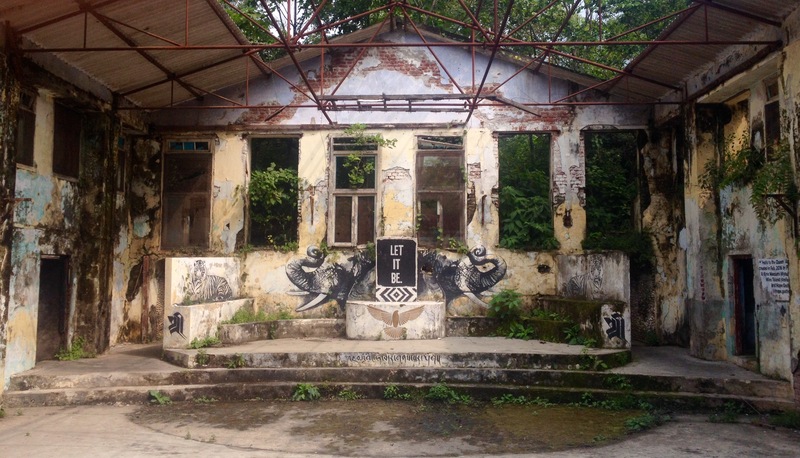 The days were intense, classes lasted from 5:30am-7:30pm, with 4 hours of actual yoga practice where monkeys would flit in and out of the studio, and the rest of the time spent in the classroom learning about anatomy, how to align and adjust, and studying the yoga sutras. I wish I could say I emerged feeling transformed, or extremely well prepared to teach, but mostly by the time the course ended I just felt exhausted. 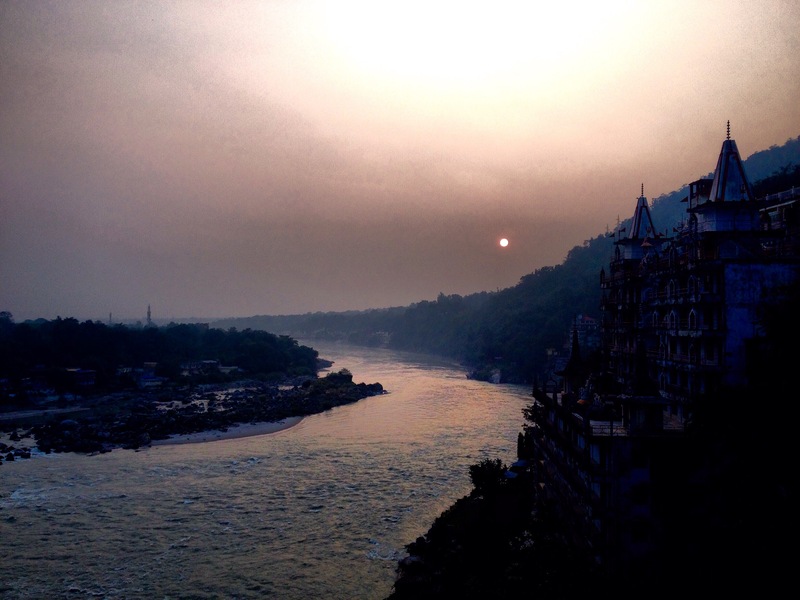 Rishikesh was not kind to my health, I got to experience the Indian public hospital system, an experience I don’t wish on anyone, and the whole time I was completing my training I couldn’t stop either coughing or pooping or fevering or sometimes all three, and it all became very tiresome by the end. 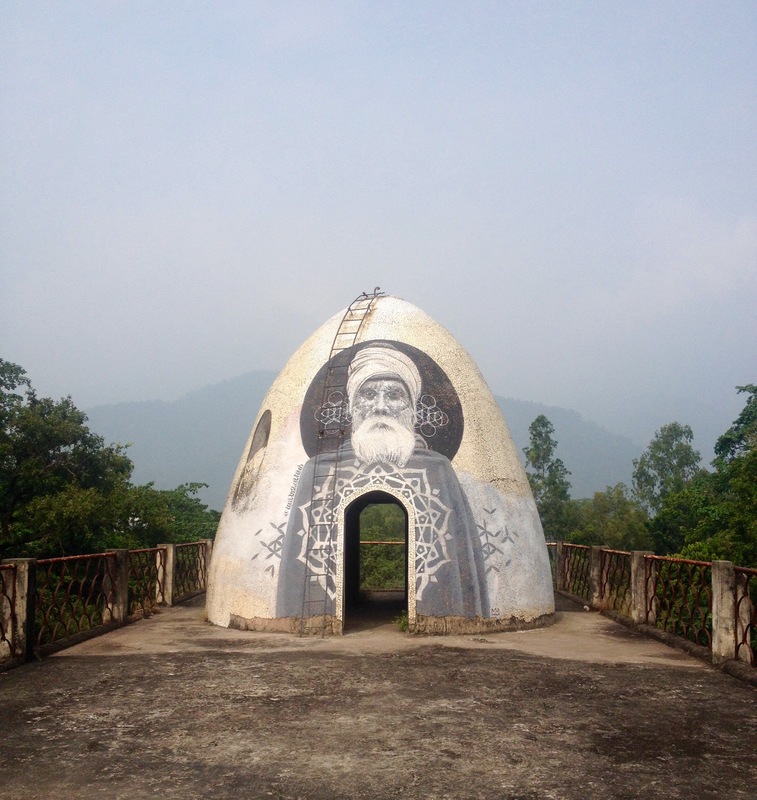 My favorite thing I did in Rishikesh, the same day I flew out, was to pay my own pilgrimage to what was once the Beatles’ ashram. 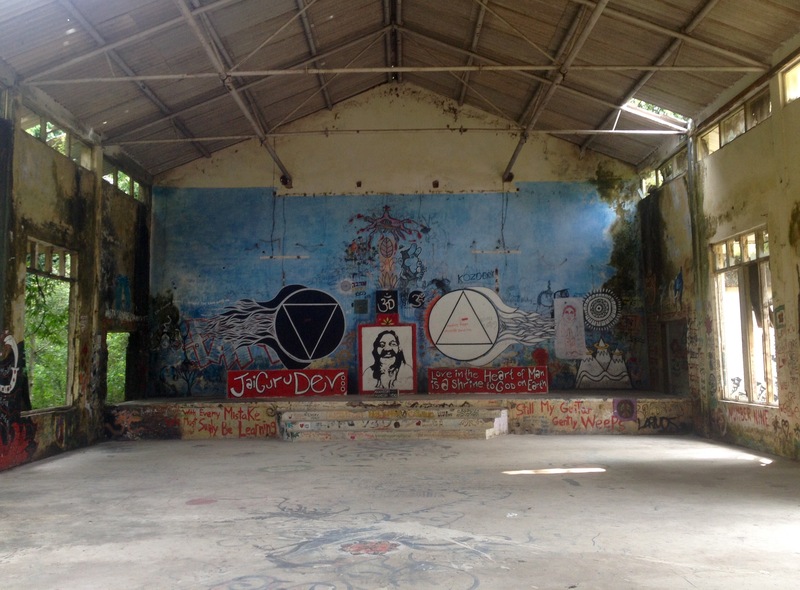 Now abandoned, the ashram was a hub of the 60s counter-culture movement, and the whole thing was still verrrry groovy. 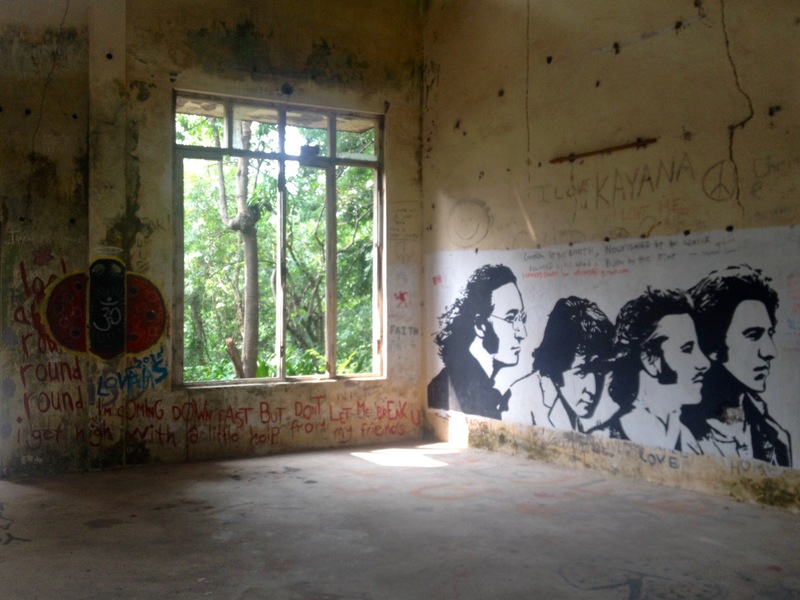 The jungle had already started reclaiming most of the now abandoned buildings, which had been transformed by massive murals and scrawled Beatles’ lyrics. The grounds went on and on, and aside from a few monkeys I was apparently the only person visiting that day, happily humming Beatles songs to myself while exploring for hours. 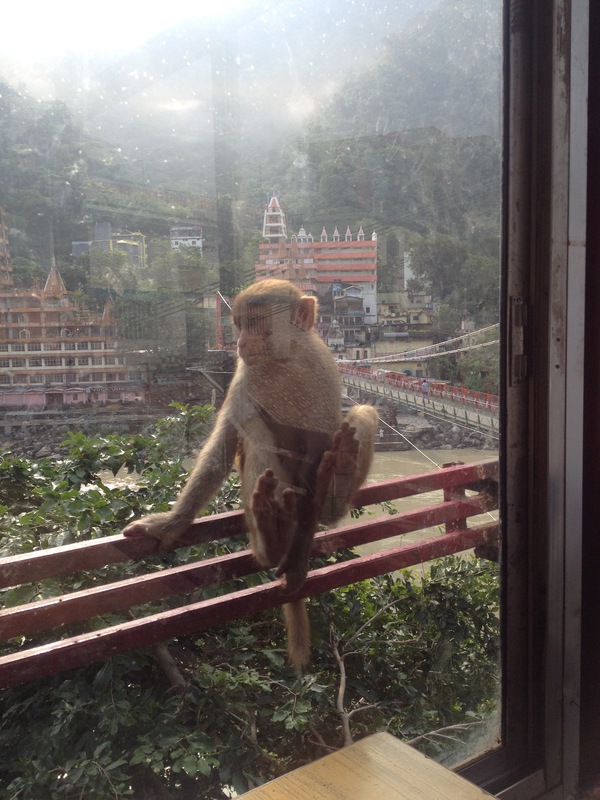 From Rishikesh I escaped with one of my fellow inmates down south to Kerala (“God’s own country,” I was told many times) for a change of scene and to remember what it was like to live life not on a schedule. Kerala was the perfect place to transition back to real life, we were both tired and there were plenty of palm lined beaches to relax on. 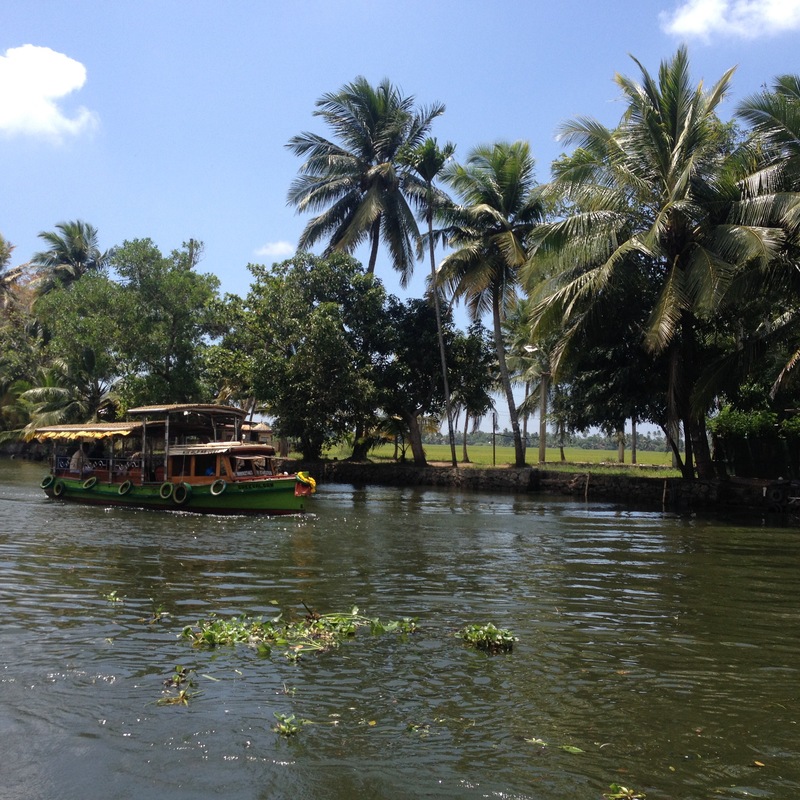 We were not the most motivated travelers, we spent a few days on cultural things in Fort Cochin, and then a few days in Alleppey, enjoying the beaches and checking out the famous backwaters, eating way too many ghee dosas. 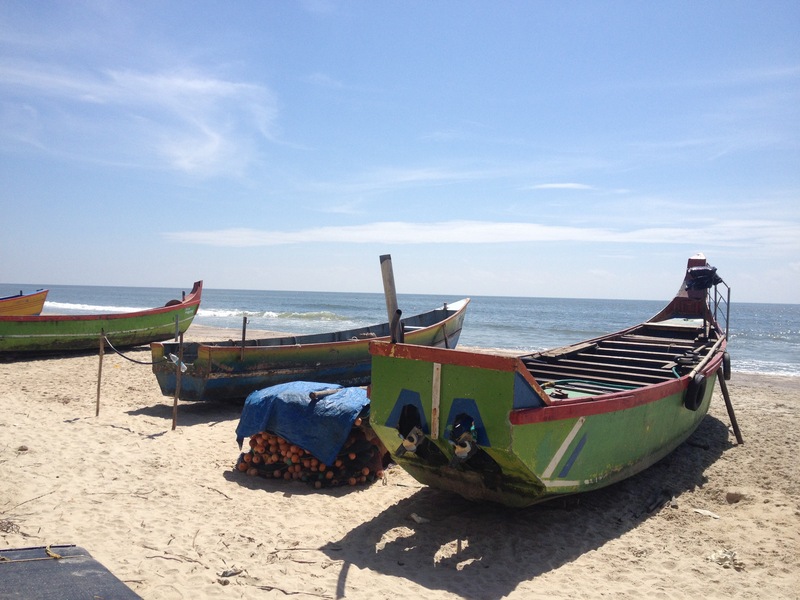 And there end my India adventures, sun-kissed on a beach with a belly full of bread.